Finally, a heavy metal band who have a truly fantastic a vocalist with great range and pitch, it is a godsend. Christian Mistress have come along with their newest release ‘Possession’ and they are ready to kick out some metal jams. This is what good music sounds like. The album opens with ‘Over & Over’, instantly my brain wants to think that singer Christine Davis’ sounds like a Juliette Lewis but better, much better. A funky bass line rips through this track and is a brilliant element within. The second track ‘The Pentagram and Crucifix’ sounds massive, a song that would work well in a live setting capricorn horoscope today children usually seem to be miniature adults who are serious and a bit world-weary. I think. ‘Conviction’ is a powerful NWOBHM influenced monster of a song, the riffs are frantic and fast paced, with Davis’ vocals rolling beautifully over the top. Her voice fits this style perfectly. The rather extended intro to ‘The Way Beyond’ lost my interest for a moment, but we kick into the verse and it all comes back. 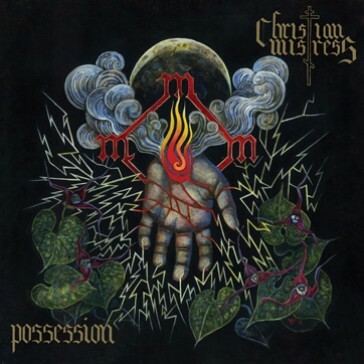 Title track ‘Possession’ fully heralds Davis’ voice, I just wish the guitar work had more of a galloping pace, it is nbso online casino a little too slow tempo for me. ‘Black To Gold’ gathers steam and we thunder on, this song just screams brilliance. The guitar solo showcases the talent within the band, whilst not going over to the top with the bravado, a classy touch. Up next is ‘There Is Nowhere’, with its lumbering intro. It may not be the most technical track ever written, but when it is performed this well I don’t really care. ‘Haunted Hunted’ has a nice rhythm and you will want to listen to it again and again. ‘All Abandon’ is metal fury with a beautiful fade out that just works incredibly as a closing track. It really just works well. This band have wormed their way into my consciousness, their songs float around my head and I am pretty sure they will be there for a while now. Metalheads rejoice, this album is for you!